More posts about AWS Exams: Prepare AWS Certification Exam. AWS Quiz by Denny. I have made an embedded aws quiz from my notes and challenging questions I saw before. The-Cert-School. Free Practice Exams for AWS CSA/AWS CDA/PMP/PMI ACP/CAPM/PMI RMP. Thanks to Mani for suggesting this. 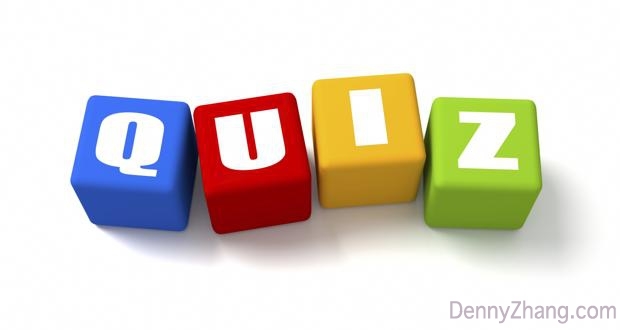 Cloud Computing Quiz 1: Check your knowledge on AWS! 11 Questions listed. Learned something more about ELB. Amazon Web Services Security Quiz. When I took the quiz for the first time, I only passed 5 of 10 questions. It deserves to be taken. Amazon Simple Storage Service quiz Some basic questions about S3. Amazon web services quiz! 15 Questions. CloudAcademy is really helpful, according to my experience. It demands a monthly subscription with $59. And a free month for trial. You guys have done a great job for CloudAcademy. Congratulations! what happens to the data on any ephemeral store volumes? You are working with a customer who has 10 TB of archival data that they want to migrate to Amazon Glacier. of getting the data into Amazon Glacier? For Question 1: After restart, data on any ephemeral store is gone. Ephemeral means it won’t persit. So the number is C.
Instead of a simple answer, saket, let’s go deeper. This design dramatically lowers the operation cost, from the perspective of cloud provider. It separates OS and plain customer data. At extreme cases, when system is seriously wrong. We can easily deattach EBS volumes. And start with a new VM. This saves a lot of difficult trouble shooting. Isn’t it, saket? About data transfer described in question2, it better be AWS Import/Export. Then answer is D. It means we mail storage directly to AWS data center, then AWS operation engineers help us mount and copy over the data. VM import/export is not about data transfer, right? For AWS Storage Gateway, firstly we need to negotiate with internet provider. Then get a direct connection to AWS data center. It might be reliable and convenient. Certainly it’s not inexpensive. But whether it’s the fastest method? The client has 10TB data and 1Mbps internet. Do the math here, divide data volume by network transfer speed. It would take us years in that way. Would you like to wait that long, saket? Mani, thanks! Updated per your comment.